Melissa joined the Viren Team in April 2015 as an Administrative Assistant with 6 years of administrative support experience. She is the smiling face you see when you walk into our office and is usually the voice on the other end of the line when you call. 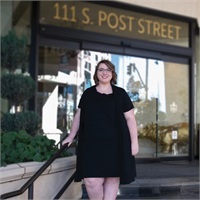 She works closely with the entire team and provides support for a multitude of tasks including document retention, travel, social media, and general research. Melissa is dedicated to a high level of customer service. She gained her Life and Health License in 2017. In her free time, Melissa practices archery and spends time with her dog and friends. She also enjoys collecting minerals and crystals when time allows. You can reach Melissa by emailing her at [email protected] or by calling our office at (509) 462-0747.